Oatmeal — a once-classic breakfast food underdog — is making a comeback. Not only is this ooey gooey dish comforting, full of fibre and cheap to make, a warm bowl of oatmeal is chockfull of nutrients like magnesium, beta-glucan, and iron. Don’t just settle for the bland, flavourless stuff when you can jazz up your oatmeal in virtually hundreds of different ways. 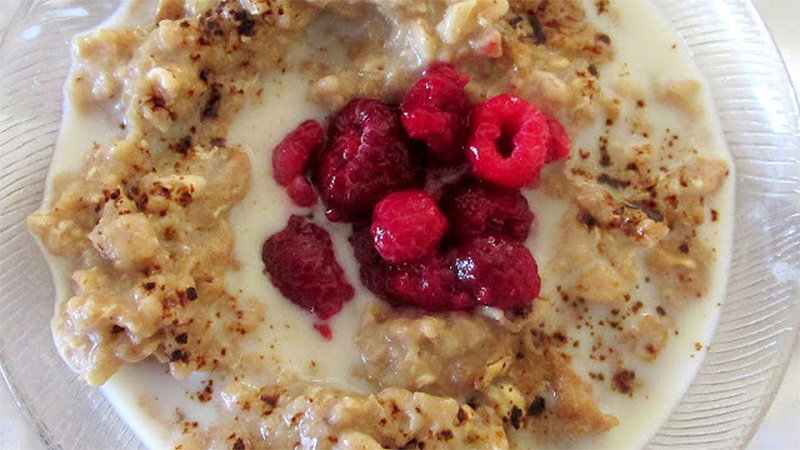 Here are 10 unique and healthy oatmeal recipes for breakfast to inspire you. 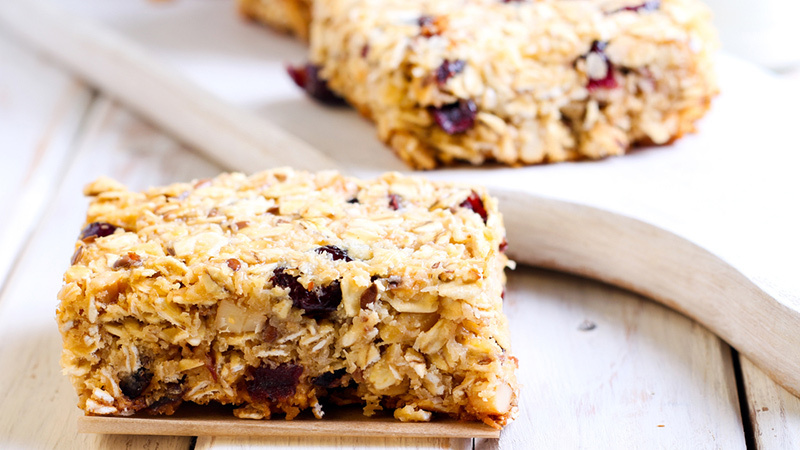 If you are constantly on the go or running behind schedule and need a quick breakfast, check out this recipe for g’oatmeal breakfast bars from AllRecipes. This is not your average breakfast oatmeal recipe — these delicacies, similar to energy bars, contain all kinds of healthy and nutritious ingredients that bake together to create the ultimate grab-n-go breakfast item. Coffee lovers, this one is just for you. Oatgasm made eating oatmeal for breakfast a little bit easier by combining a frappuccino and frozen raspberries for breakfast with a bit of a kick. This oatmeal breakfast has all the characteristics of regular oatmeal, combined with the sweet and caffeinated goodness of your average frappuccino. Of course, you can get creative and add other toppings, like fruit, chocolate chips and even whipped cream. The base for these overnight steel-cut oats is what really make this recipe standout; once you’ve got that part down pat, the rest is totally up to you! 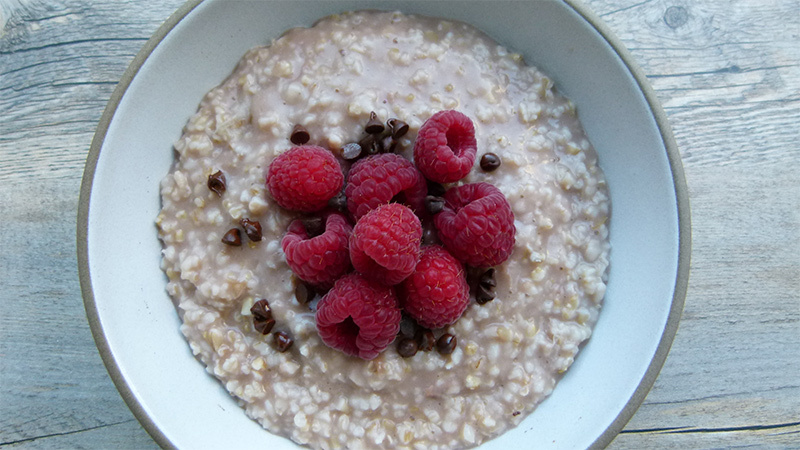 Pamela Salzman offers a variety of delectable variations, but with oatmeal this tasty, may we suggest keeping things simple with chocolate chips and raspberries? Feel free to top with cinnamon, dried fruit, walnuts and pecans, homemade granola and whatever complementary fresh fruit you have on hand. Mmm! Maybe you are not a fan of oatmeal, but you would kill for some carrot cake… why not combine the two for a healthier version of your favourite baked treat? This steel-cut carrot cake oatmeal breakfast recipe from Kitchen Treaty feels like dessert for breakfast (with none of the guilt). From start to finish, this oatmeal recipe only takes a little over 30 minutes and is comprised of all kinds of spices to stimulate your taste buds without overdoing it for your waistline. This recipe is both a mouthful to say and to eat. Courtesy of How Sweet it Is, this recipe perfect for those of us who typically are not really into the whole oatmeal thing. 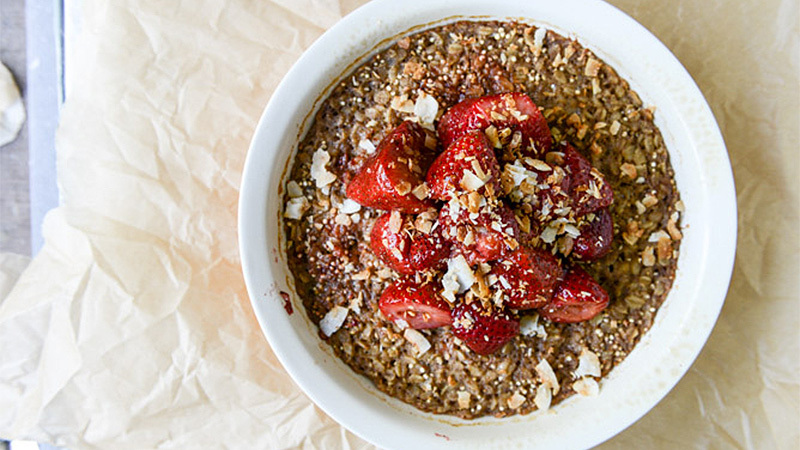 The idea of the oatmeal being baked with quinoa for added protein, and the combination of strawberry and coconut textures, makes for an interesting exploration of flavor and texture with each and every bite. If you want to dip your toe into the world of breakfast oatmeal recipes, this is definitely the recipe to try. Sriracha has gained all kinds of popularity as of late, and it has begun to show its versatility, being that lovers of the savory condiment attempt to add it to everything — including oatmeal. 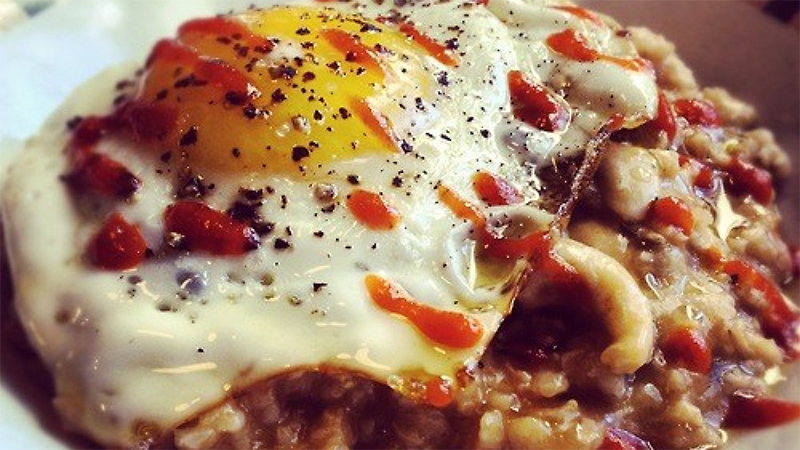 The Sriracha Cookbook has created a wildly popular oatmeal recipe that combines Sriracha, soy sauce, rosemary, cashews and a fried egg on top for good measure. 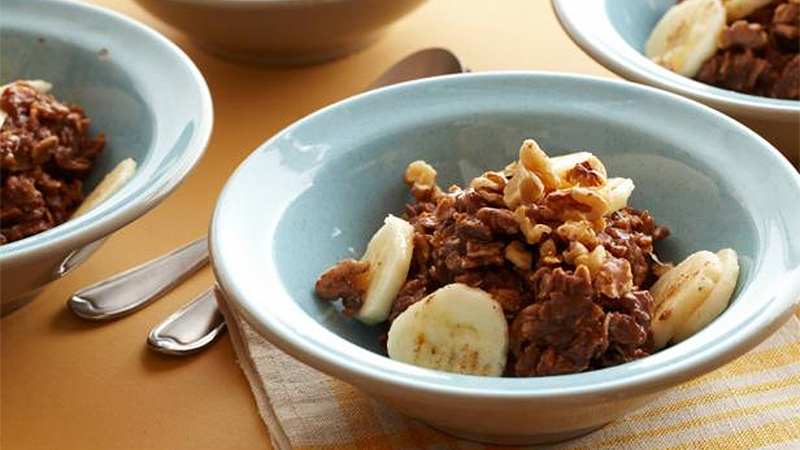 For the chocolate lovers: How about this breakfast oatmeal recipe from The Food Network kitchen? This 30-minute recipe utilizes all kinds of tasty and healthy ingredients like bananas, honey, walnuts, cinnamon, and almond milk. Breakfast casseroles are always a joy, but not many people create them with oatmeal. Angela of Oh She Glows breaks the mold and gets creative with this sweet potato oatmeal breakfast casserole recipe. The oats and sweet potatoes give you a nice dosage of fiber, potassium, and vitamin A while also serving as an excellent source of flavour. 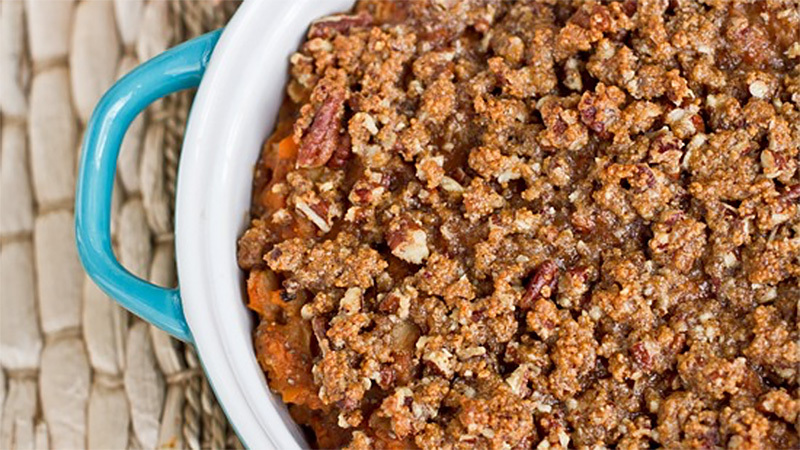 Mix everything together, add a fabulous pecan topping, bake, and enjoy! 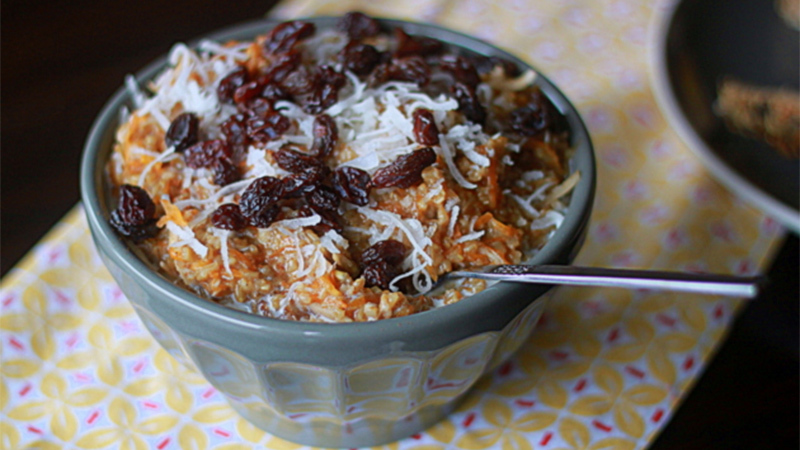 Here’s another great savory oatmeal breakfast recipe to try if you’re not really into the sweet stuff. If you are like Lori from Foxes Love Lemons and do not really care for sugary breakfast dishes, this recipe combines the savory flavour of a risotto with breakfast. 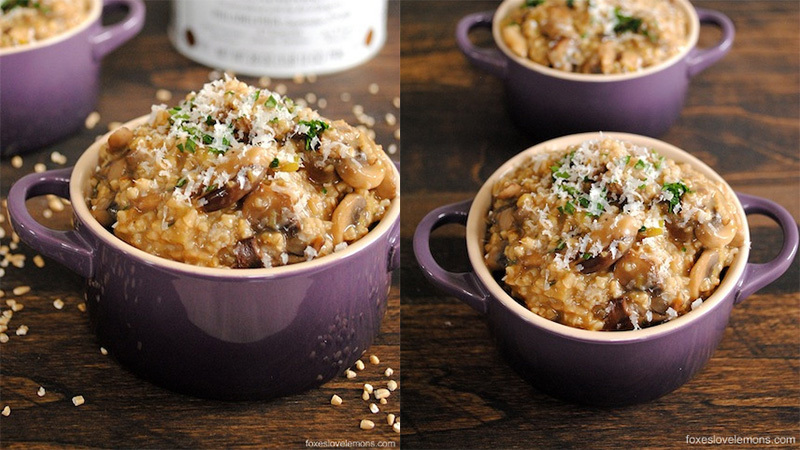 Add some mushrooms and Parmesan cheese and this dish will have you wanting it for all three meals of the day. 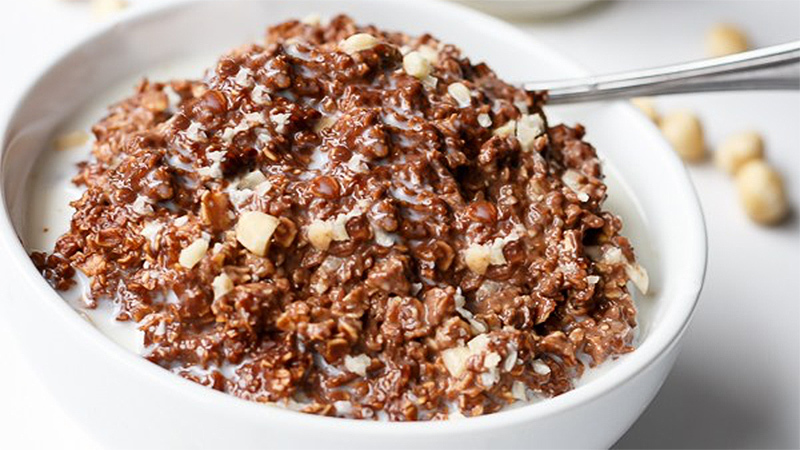 More proof that you cannot go wrong with Nutella: Cafe Delites proves how great it can be with this oatmeal recipe. Despite it’s chocolate-hazelnut flavour, This recipe is under 300 calories, has eight grams of protein, and four grams of fibre. Oatmeal has evolved from opening an instant packet and throwing it in the microwave. Whether you’re a fan of chocolate, Sriracha or fruit, there’s no end to the different textures and flavours you can create.